April arrived, and with it the first signs of new life flourishing in the warming days of spring. 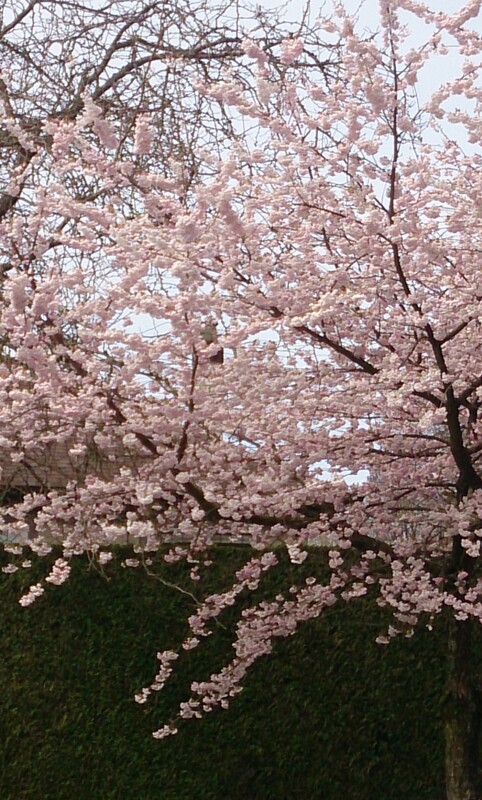 I wake to the soft greeting of morning’s light illuminating my room; the birds warble outside my window welcoming a new dawn; pink cherry blossoms erupt from sleeping trees, garnishing the neighborhood with a blushing beauty. Tiny crocuses, flushed with purple and white, peek out from rich soil, checking to see if it’s safe to re-enter the world. All around, life is stirring from its long nap, awakening with a new vivacity; but old lady RA is still whipping up the relics of winter in my bones. The arrival of spring is usually the catalyst for the worst of my symptoms to prepare for their retreat into hibernation. This year Mother Nature presented an unruly and volatile winter season; one day it rains, the next is clear and mild, twelve hours later the temperature drops and snow tumbles from the sky. The shifting pressure creates chaos in the body with arthritis. There has been much debate on how weather affects arthritis sufferers, and while there’s been no conclusive evidence, many people experience flares and fluctuations in the body when the pressure changes; I too, have experienced this unexplained phenomena. This winter has selfishly extended its visit, reaching its cold gnarled hands into the turning of a new season, keeping old lady RA content in her breeding ground. All signs indicate the creeping arrival of balmier days; with each new morning, I look to the day when I can rise from the well of the old lady’s malicious grip, shedding her incendiary husk from my body and climbing into a new and improved normal. I have a feeling the old lady won’t follow you all the way to Hawaii. Maybe you could put her in luggage and lose her. Hoping spring arrives soon! Oh yes, Irma, looking forward to spring, and to brighter and warmer weather. I hope you are doing well.